Launched on 20 February 2001, Sweden’s Odin minisatellite yesterday celebrated four years in orbit. The result of a partnership with France, Canada and Finland, Odin splits observation time equally between aeronomy and astronomy science. Initially scheduled to last two years, the Odin mission was extended for a further two years in 2003 on the basis of its excellent scientific results. The partners have now decided to continue funding for a 5th year. The innovative feature of the Odin mission is that it splits observation time equally between the Earth and the Universe. 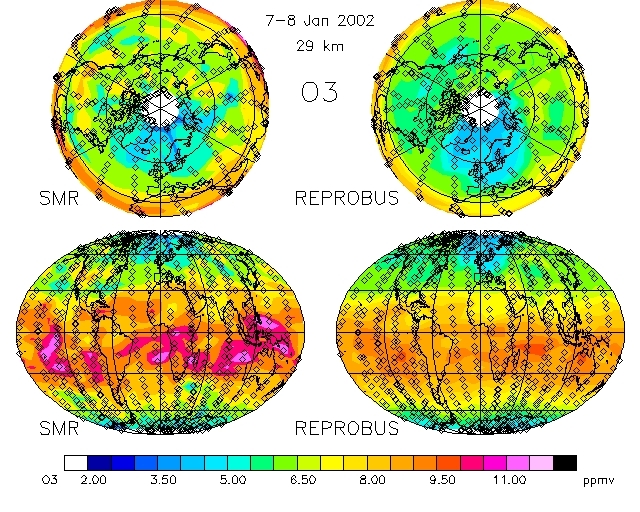 In aeronomy, Odin’s objective is to track variations in stratospheric ozone, particularly the polar ozone hole that forms each year. In four years, it has provided important science results, including changes in the polar vortices and their impact on the ozone layer. In astronomy, the Odin telescope is observing physical and chemical processes in the interstellar medium and in the atmospheres of planets and comets. In 2003, during the closest opposition between Earth and Mars for centuries, Odin accurately measured the mean quantity of water vapour in Mars’ atmosphere. It has also detected water in around 10 comets and many galactic sources. In its first four years, the Odin mission has achieved some remarkable science results. But it has also raised new questions for astronomers. Among the most significant results obtained, Odin has provided some unexpected data. Molecular oxygen (O) is the third most abundant chemical element in the Universe. Yet, despite hundreds of hours of observation, Odin has not detected the slightest trace of either molecular oxygen or dioxygen (O 2)—much to astronomers’ surprise. The partners extended the mission for two years in 2003, and have now decided to continue funding for another year. This is a bonus for scientists, even though they know the oxygen mystery cannot be explained on this occasion. And it will be hard to improve on Odin’s highly accurate observations, even with the next generation of space telescopes. Theoreticians now have plenty of work to explain what is going on. In the meantime, Odin is pursuing its observations, both to improve our knowledge of the Earth system and shed new light on the Universe.